Olaya District is one of the most popular districts in Riyadh, the capital of Saudi Arabia. It is growing really fast and becoming the top area in the city. Olaya District is located on the north side of the city; some of the most important sites and landmarks in Riyadh are located in that district. These include the Kingdom Centre, a 99-storey iconic building where the luxury Four Seasons Hotel is located. The Olaya district will also be home for Al Rajhi Tower, which will be the tallest building in Saudi Arabia. The Four Seasons Hotel Riyadh at Kingdom Centre boasts The Kingdom Ballroom, which is truly a sight to behold, with hundreds of twinkling chandeliers, plush chairs, and beautifully woven carpets. 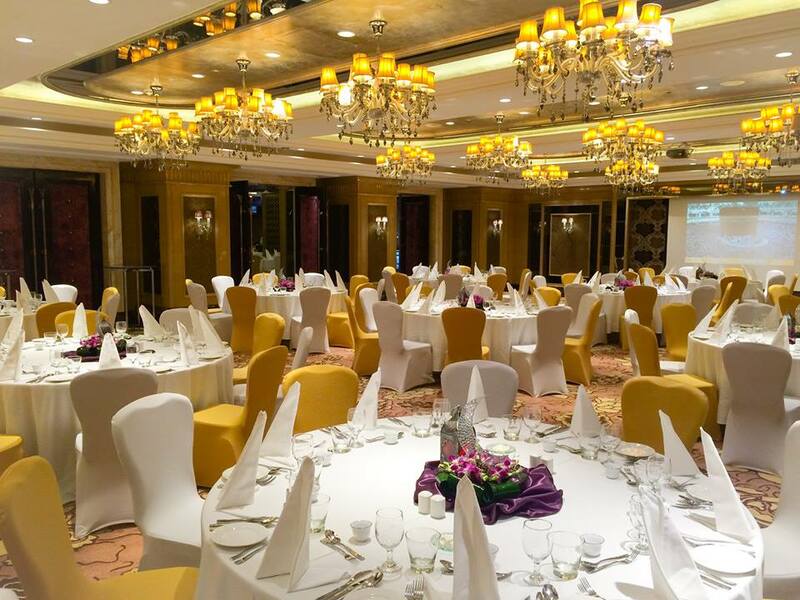 The ballroom can be divided into several smaller rooms and is capable of holding up to 4,500 guests. For an unmatched sophistication, personalized service, and incredible weddings, Al Faisaliah Hotel offers everything you could possibly imagine for your very special day. 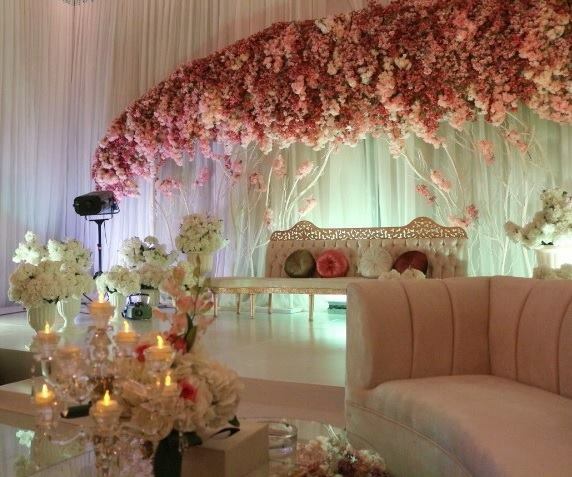 As one of Riyadh’s most prestigious wedding venues, Al Faisaliah features 3 bridal suites and a separate royal suite. The team at Rosh Rayhaan Rotana Hotel is committed to exceeding your expectations. 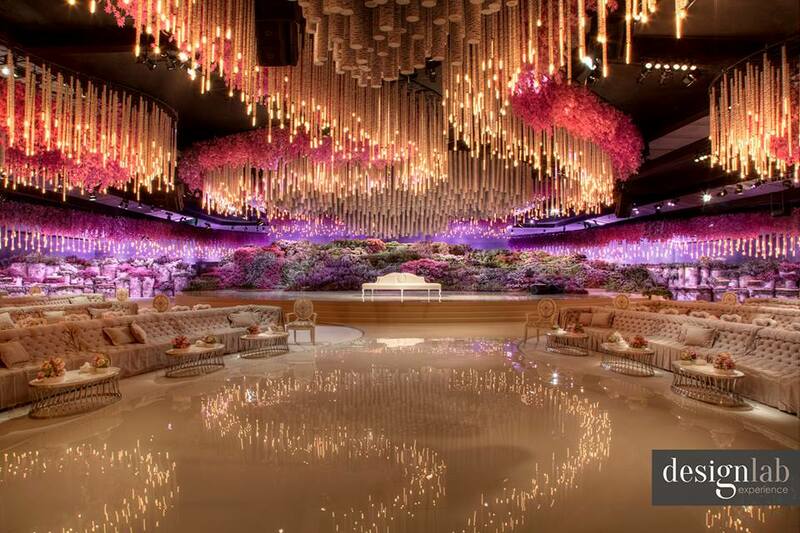 From a modern decorated 5 star wedding venue, to seamless service and magnificent cuisines, you can be rest assured that their skilled wedding specialists will provide you with a complete hassle-free experience. 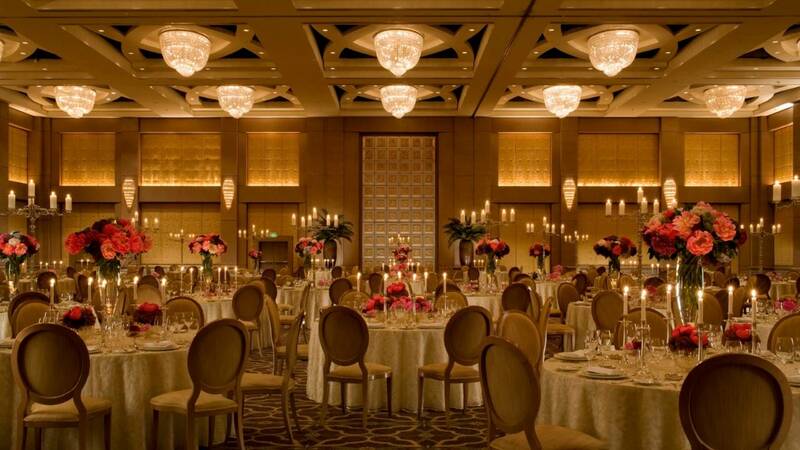 The Hyatt Regency Riyadh Olaya offers a 419 square meters high-tech main ballroom, capable of accommodating up to 350 guests, the main ballroom can be divided into 3 separate spaces, which makes it the ideal venue for intimate weddings. 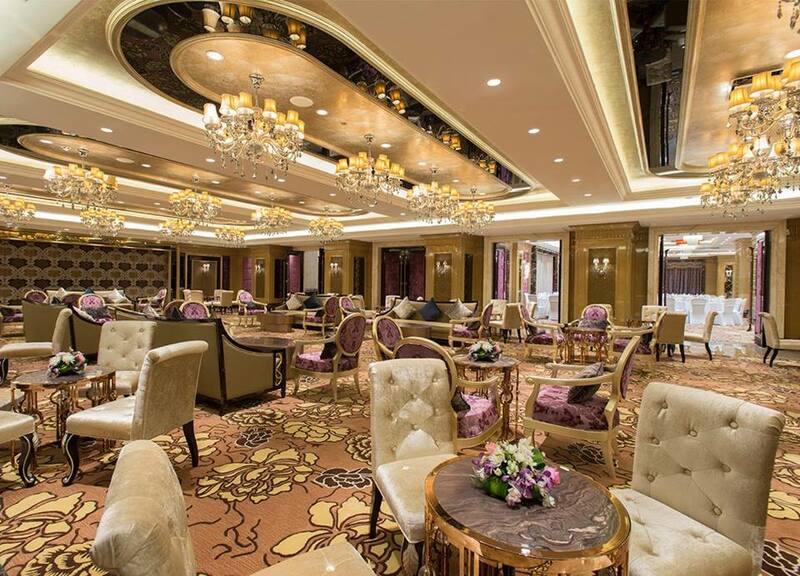 This hotel is all about bold modernity, you will love the Al Rimal Ballroom's striking space, and its contemporary luxury. The ballroom can seat up to 140 guests.